Encouraged…That is the word I would use to describe my feelings following our second annual Manufactures Week Oct 3, 4 & 5 here in Belle Fourche. The Manufacturers’ event was co-sponsored by the Chamber of Commerce and Belle Fourche Development Corp. This year we added two more days to our schedule and brought in Deb Brown from Save Your Town. I’m encouraged because we saw many new people turn out for the events. Our Tuesday morning Early Bird Coffee at the Chamber office was standing room only to meet Deb, ask questions and network with likeminded people in the community. Another “coffee clutch” took place on Wednesday morning at Patty’s Place. Again, great discussion took place. We followed the coffee meet & greets with what I’ve termed the “Gems tour” as we toured buildings downtown either for sale, rent, or currently undergoing renovation. When we completed those tours I was encouraged because of the potential others and I discovered. Many of those building are very large and would serve a future business well. I was encouraged by the business leader’s luncheon at Grap’s Burgers & Brews Tuesday noon. The luncheon was well attended and gave people a chance to network with each other, visit about what they had seen on the empty building tour and brainstorm opportunities business in Belle Fourche offers. I was encouraged because Tuesday afternoon four individual business owners took advantage of Deb’s presence to visit with her privately about their business, the challenges they face and get an experts advice on ways to advance their own business. The same took place on Wednesday afternoon with another four businesses. How often do you get to consult with a national leader about your business – and for free? Thursday was a full day of encouraging events. Deb Brown gave two presentations giving advice and practical steps businesses can take to grow and thrive, as well as testimonials of other small towns that have taken action and brought their towns back to life. South Dakota Secretary of Labor & Regulation Marsha Hultman also spoke and informed us about workforce trends in the state. You can see both those presentations by going to the Chamber’s YouTube profile (Search ‘Belle Fourche Chamber’ in your YouTube search bar and click the top result). We had a very encouraging roundtable working lunch in which 20 or more community individuals discussed how we can work together to implement what Deb presented to us and more. Later, while tours of Pipeline Plastics and the new industrial arts building at the High School took place, three individual groups in our community met to confer with Deb on their roles to advance Belle Fourche. Thursday evening we met as a community to celebrate business at the Belle Plaza. 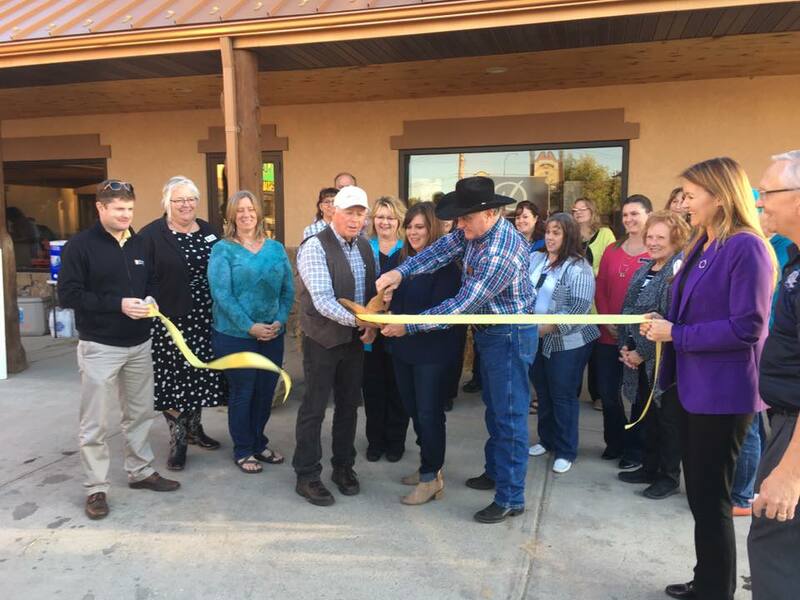 A ribbon cutting ceremony was held for the new real estate agency, Dakota Home & Ranch. The Belle Plaza merchants all held open houses with music and food. What a great culmination to our three day events of celebrating manufacturing and business in our town. To finish the week off, a job and career fair was held at the Community Hall from 6 -8 p.m. The hall was lined with businesses seeking employees and several availed themselves of the opportunity to see what was available for careers. I’m encouraged because our city and its opportunities were premiered. I’m encouraged because what we have to offer was showcased and people are motivated to move ahead in collaboration. I’m encouraged because goals were set and there is a commitment to keep the good momentum going for Belle Fourche. I’m encouraged because work is already going on. Be watching – Some of what you will be seeing is a result of what took place last week.